A renowned nutritional and anti-ageing medical expert, Dr. Don Colbert, says from his experience there are two factors that contribute the most in slowing down your ageing process – water and sleep. And talking about sleep, the question is - how many hours of sleep do you have on a daily basis? 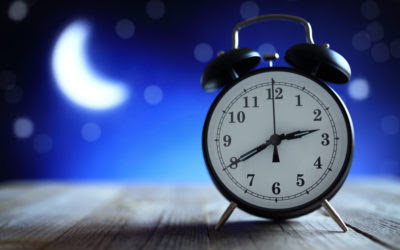 Do you wake up energised or do you wake up still feeling sluggish even after you’ve had a long sleep? There is actually more to waking up reinvigorated than just having a long night sleep. Recent studies carried out by Harvard scientists prove that you may very well have been busying yourself - reading or browsing on your computer or any other similar mobile device shortly before bedtime. The blue light produced by your device tends to stifle the sleep-promoting hormone called melatonin. According to Robert Rosenberg, DO, FCCP, an Arizona sleep medicine specialist and author of SleepSoundly Every Night, Feel Fantastic Every Day, melatonin controls your sleep and wake cycles. Experts therefore advise you put off every mobile device, including of course avoiding late night television watching. Experts say that sleeping on your side for a long period through the night for instance, could lead to soreness on the back – tending to hamper a good sleep. Studies have shown that this kind of sleeping habit is capable of inflicting hip (joint) injury as well as showing up in other parts of the body such as the lower back. You may wish to place a pillow in between your legs if you’re likely to sleep in this position for most of the night, to avoid injury. Huge pillows rather than support your head tenderly will put a strain on your neck region. It is thus an uncomfortable thing to have your head tilted thus for all those hours of sleep; it is likely to also pull your spine out of alignment. You should instead choose a soft low pillow, or even sometimes sleep without one – to allow blood flow to your head, experts say. You may also have been used to some form of night cap such as alcohol consumption shortly before bedtime. At first it may seem to help you sleep because of the apparent sedative effect alcohol gives, but expert studies show that it actually disrupts sleep due to more alpha brain activity it brings about while you are asleep. This implies that in effect you do not get deep, restorative sleep as a result. 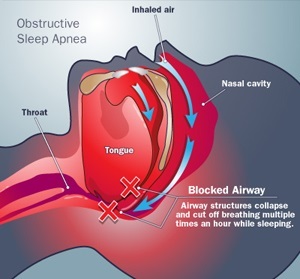 Your lack of sound sleep or feeling tired even after a good length of sleep could sometimes mean that you are suffering from a sleep apnea that has not been diagnosed yet. This suggests that sometime in your sleep you may be having a transient cessation of respiration whereby oxygen flow is temporarily stopped. According to a 2012 study, half of the adult women population experience this. Experts say patients momentarily cease from breathing several times through the night, leading to poor quality of sleep.